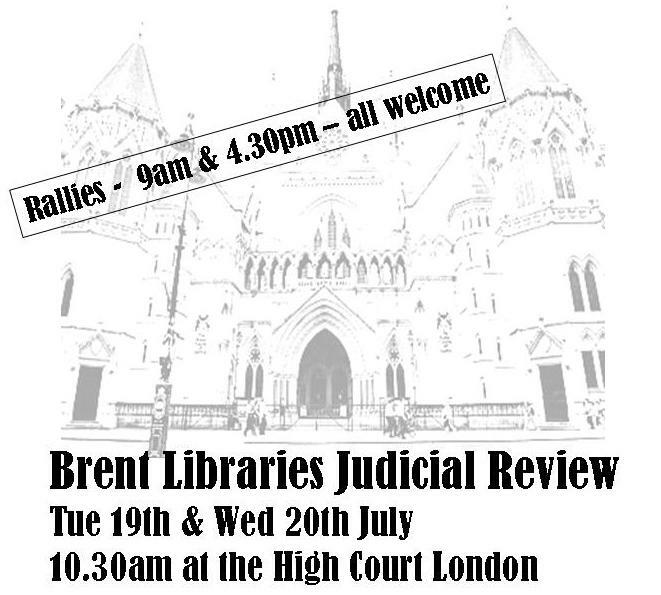 Please come along to show the court how much libraries mean to you. We expect to be there for around 9 am with the hearing expected to begin at 10.30am… The rally will restart at 4.15pm (the end of the day). Come to a rally, or come inside! A bit of bedtime reading is available on our new Judicial Review page above – you’ll find details of our claim and Brent Council’s defence. Posted on July 17, 2011, in Brent Council, Legal Update. Bookmark the permalink. Leave a comment.